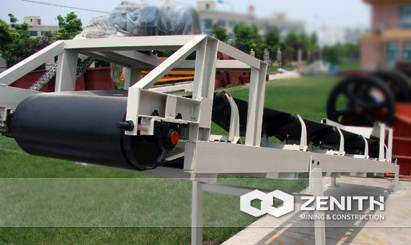 Zenith conveyor is adaptable to both stationary and mobile crushing plants, it is widely used in mining, metallurgical and coal industry to transfer sandy or lump materials, or packaged materials. The transfer system can be one single or multi-conveyors or combined with other transfer equipments according to various transferring requirements. And Zenith belt conveyor can be installed horizontally or aslope to meet the needs of different transfer lines.